Do you know how the differences between the different varieties of Olive Oil and which one will work better with your dish? Monovarietal : obtained from a single variety of olive, so that you can clearly see the sensory attributes of each type of olive. • Virgin olive oil : 100% olive juice , with good flavor and aroma characteristics (though not great , which is what differentiates it from extra virgin) . It is suitable for the same uses that extra virgin. • Olive oil : the oil blend of refined olive oils and virgin or extra virgin olive oil. It is especially suitable for high temperature cooking , especially for frying . Retains all its properties during frying ( 180 ° C/380 ° F ) due to its high content of oleic acid . It is also ideal for making sauces , like mayonnaise . There are 260 olive varieties processed to produce olive oil , although the most popular are: Arbequina, Cornicabra , Hojiblanca and Picual . These are the characteristics of each and their recommended , according to the Spanish chef Juan Pozuelo uses. 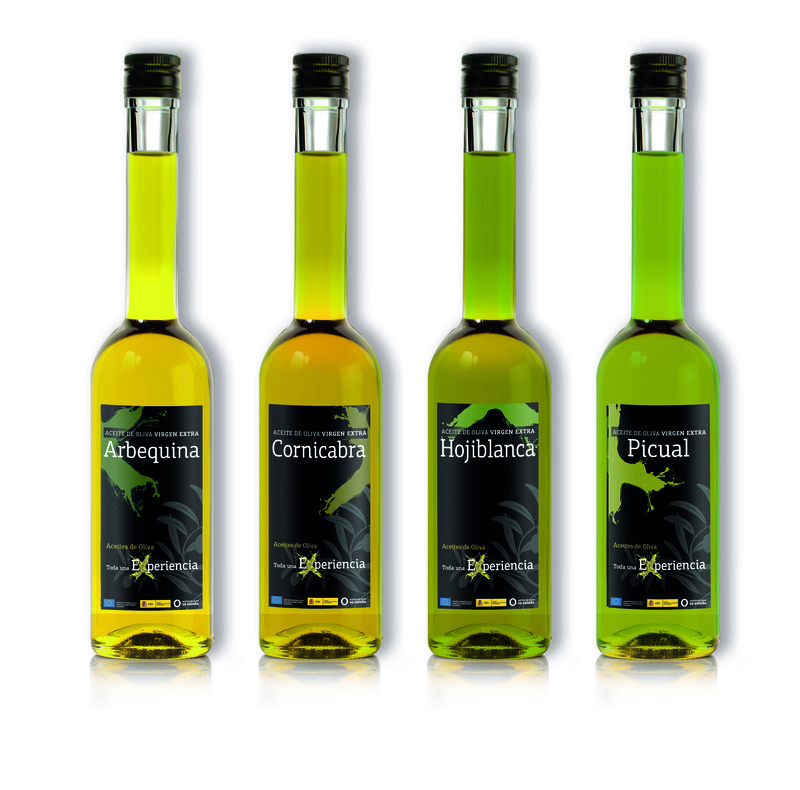 • Arbequina : This oil has a fruity aroma (apple , banana and almond) . It is a very fluid oil, a little sweet, iwith only a spicy or bitter note. When the olive is collected at its peak of ripeness , that sweetness is much more evident . It is ideal for making mayonnaise , dressings, pickled anchovies , marinated salmon, seafood carpaccio , gazpacho and sautees . We will use , for example, to spray white fish baked or grilled . It also applies in soft marinated , cold creams and confectionery masses . Recommended for pastry. • Cornicabra : cornicabra oils have aromatic apple flavors and herbal tones . It has a slight bitterness and the taste is more intense. It is very stable and has a high content of oleic acid, polyphenols and antioxidants that provide a high resistance to oxidation and make it healthy. It is used in the preparation of deep fried foods , salads , ceviches , sauteed meats, shellfish , baked potatoes , pizza crusts , empanadas , churros and donuts. • Hojiblanca : this variety is very fruity and complex , characterized by aromas of freshly cut grass , artichoke and aromatic plants. It is also a sweet oil, with a slight bitterness at the end , which ends with a very localized spiciness in mouth. Having a composition of oleic acid and antioxidants well balanced . The techniques are recommended for use in cooking and preserves. Applies in soft salads, marinated meats and oily fish emulsions. It´s used to produce mayonnaise , aioli , vinaigrette , marinated fish strong , hot and cold soups , pastas , stir-fries and canned vegetables. • Picual : its oil is prized for its high stability (very resistant to oxidation ) , due to its high polyphenol content and the high percentage of oleic acid. It is therefore very resistant to high temperatures . Picual varieties have great personality and great body , bitterness and a slight spiciness. Apply in salads , stir fries , marinated meats, canned vegetables and hunting meats . It is a type of oil ideal for making salads, Andalusian type chips, fries, breaded and battered fish or meat , stews , canned or cooked raw foods ( sausages , cheese…). Posted on February 6, 2014, in Uncategorized. Bookmark the permalink. Leave a comment.